Hurunui River underwater and over. Upper Hurunui River near the Jollie Brook confluence near Lake Sumner. 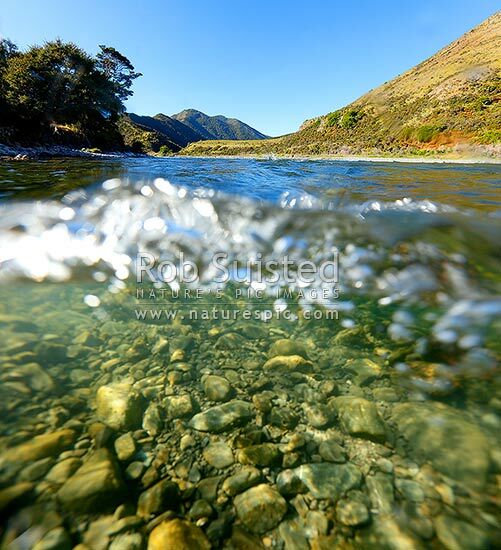 Square format, Lake Sumner, Hurunui District, Canterbury Region, New Zealand (NZ), stock photo.